DimDrop has out-of-the-box integration with Facebook, Twitter and Instagram social media feeds. 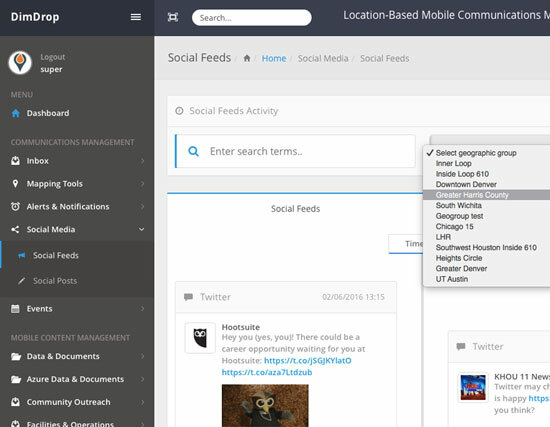 You will be able to see content from the people you are following and also search by keyword and or geographic group using a simple user interface. The infinite scrolling list of posts shows you the source, content and media contained in the post. Posts with location data will be marked with a special icon so you can view the exact location where the post was attached to using the mapping tab view.